Playtonic Games has announced that you will soon have the chance to gulp down the 64-Bit Tonic in Yooka-Laylee. 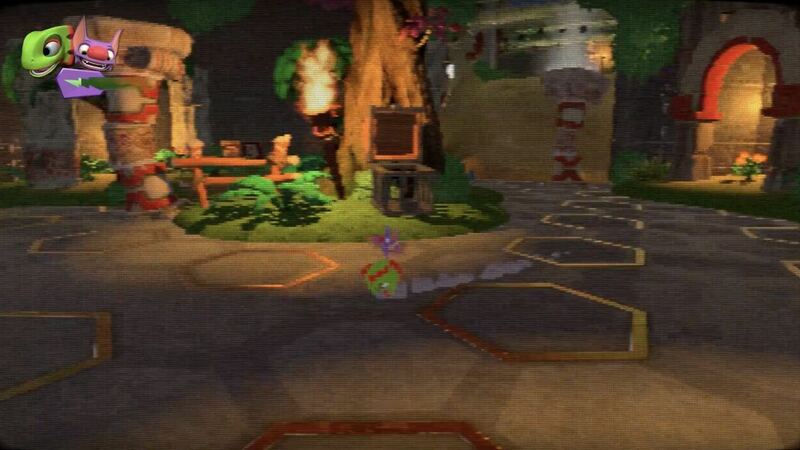 The 64-Bit Tonic had been a stretch goal in the Kickstarter-backed project, for when it had soared past £1.1 million – promising to deliver a Nintendo 64 shader mode if it was achieved. And, that it was. “That’s right: In the coming weeks, all Yooka-Laylee owners will receive the coveted 64-Bit Tonic via a free-of-charge game update!” Playtonic Games explain. “To activate it, visit your local Vendi and witness as the game resolution crumbles before your eyes! We’ve also capped the frame rate, limited lighting, shadows and shaders and applied a nifty scanline effect, to create the optimum 64-bit illusion. It’s the closest you’ll get to 1998 without chugging Sunny D in a pair of Dr. Martins.